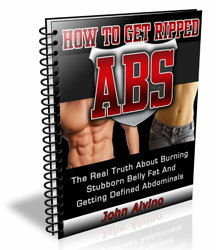 An interview with John Alvino of How to get Ripped Abs. Luke Wold: Hey John, I consider you a “real world” guy – in that you work with real people with busy lives and hectic schedules. We all know that there is a ton of fat loss advice for pre-contest bodybuilders (fasted cardio, two-a-day sessions, egg whites and steamed fish 6 times a day…). And we also know that there’s good advice out there for the overweight guys who have never exercised before (like don’t eat Oreos, and take the stairs instead of the elevator…). But what about the “in between” person? You know, the professional man or woman who works a solid 9-5 job with maybe up to an hour commute each way, and still tries to spend time with the family and kids. There’s a serious lack of information for this demographic. How do you set up a solid “real world” fat loss nutrition plan for these people? JA: I couldn’t agree with you more. Earlier in my career, I would tell this type of client that they had to eat a broccoli and alfalfa sprouts omelet for breakfast every single day! When they told me that they didn’t have the time to prepare that, I would accuse them of not being committed. Looking back on it now, I realize that as a young trainer, I had no idea how difficult it is to work a stressful job, raise a family, and still summon up enough energy to even get to the gym. It wasn’t too long before I realized that my expectations were unreasonable, unnecessary, and unrealistic for them to stick to. Thus, I had to be creative enough to devise meal plans that would deliver results while being realistic and easy enough for this busy folks to actually follow. After years of trial and error, I have found several ways to accomplish this goal. For starters, these clients have a tough time following a diet that has very precise parameters. For instance, instructions such as: “eat exactly 3.35 ounces of salmon with 1 ¾ cups of broccoli at exactly 10:25 a.m. each morning”, or “You must prepare and eat 7 meals per day.” Their lives are simply too stressful and busy to be this rigid. They need more flexibility in their diet protocol. Trying to force this “all or nothing” approach onto a person such as this will more often than not result in total failure. After your client realizes that he can’t follow the plan, he will fall off the wagon and feel completely defeated. This may discourage him from ever trying to lose fat again. And it is just unnecessary. A successful diet, first and foremost, must actually be feasible. If it’s not, it doesn’t matter how great it is, because it will most surely fail. LW: What about training? Doing six or seven days a week, or multiple sessions for these people is just fantasy land. What about some real world workouts? I’ll give you an example – a 40 year old father of two – with a full time job (40 plus hours per week) who is maybe 19-20% body fat but wants to see his abs for the first time this summer? JA: In my experience, when someone has a restricted schedule like this, I am usually only able to meet with them around train 3 times per week. So it is imperative that we get the most out of each training session. The most important goal for each of these training sessions is to create a metabolic elevation that will last up until the next training session. Let’s assume that he would be using a Monday, Wednesday, Friday training schedule. Our goal is to perform a workout that increases metabolic rate for 48 hours. In order to accomplish this, we must work all major muscle groups – so that means full body training routines. These full body routines should emphasize exercises that have a high metabolic cost. In addition, this routine should be designed using a multi-station approach. Because there is a time constraint, you will spend very little time resting in between sets. Therefore, exercises performed back to back should not interfere with each other. In other words, consecutive exercises should not fatigue the same exact muscle groups. Immediately following the resistance phase of this routine, he would perform a special type of interval training. For the actual interval, you will work hard (about 90% of your max) for 30 seconds. Then decrease the intensity to about 60% of your max for 60 seconds. That is one interval. After the 60 second “easy” period, increase the intensity back up to 90% and begin the second interval of the workout. Start with 6 intervals per workout, and build your way up to doing 12 intervals per workout. 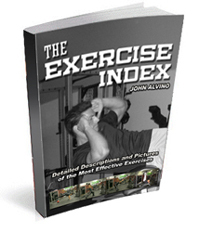 Once you can perform 12 intervals at maximal intensity, it is time to vary your workout. Varying your workout from time to time, when done in a calculated manner, will keep your body constantly stimulated to respond positively to this type of training. LW: Can you give us a sample workout based on your training principles? Rope Jumping 3×60 seconds with 30 sec rest. 3: Resistance Phase (25 min): This is a multi station circuit. Perform 5 rounds without any rest. LW: Nice. Any other tips for these people? During the first week of your meal plan, I encourage you to weigh/measure your food. For instance, if one of your meals requires 1 cup of rice, you should have a pretty good idea of what a cup of rice looks like. That way, when you are eating out, or on the road, you will be able to estimate your portions with reasonable accuracy. JA: Thank you, Luke. It’s always a pleasure speaking with you. I look forward to next time! Is there any express diet that you might recommend for somebody that is 220 and 6’4? I’ve a tough time losing weight too. I’m 6’4″ myself, and keep my weight between 220 and 230. 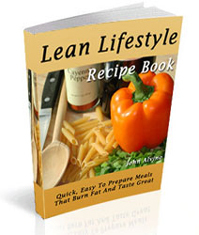 The trick is to keep lots of lean muscle and lose any extra fat. Whenever I need to lose a few pounds of extra fat and keep my abs from getting blurry, I go on a carb cycling plan for a month and easily lose a few percentage points of body fat. man that was really good read, could you talk more about this please?